The newest Mazda vehicle is here and it's beautiful (as we expected, of course). It wasn't long ago that the 2018 Mazda6 was the shiny new ride on the lot. While that car is still phenomenal, the 2019 Mazda CX-3 is now the most novelty item in our showroom. 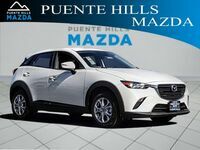 We have gone over some topics in our blog about the new Mazda CX-3 and we have discussed how the 2018 model compares to the competition. But this time, we're going to do a straight-up comparison of the new model and last year's version. 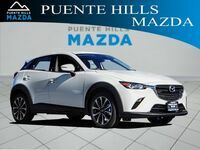 We'll be honest—the exterior of the 2019 Mazda CX-3 is more or less unchanged. However, there are some notable differences elsewhere. Check out how they compare below. The two vehicles are priced almost identically, which doesn't come as much of a surprise. 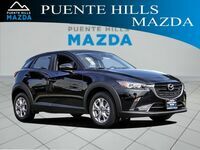 It is notable, though, that the price of the 2019 Mazda CX-3 is only marginally higher than that of the 2018 vehicle considering the updates that have been made. As you saw above, all trim levels (Sport, Touring, Grand Touring) of the 2019 model come available with full-leather seating. 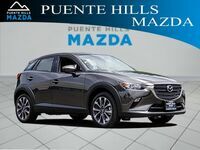 This is the first time in the Mazda CX-3's history that that has been true. Additionally, blind spot monitoring comes as a standard feature instead of an optional luxury. The rest of the updates have to do with the interior. 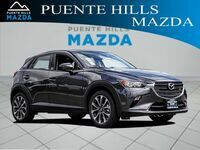 Mazda wanted to emphasize sophistication for 2019 which has been the one realm that the crossover has seemingly lacked in recent years. These new features include a fold-down compartment/armrest for passengers in the back (complete with cup holders), ambient red accent lighting, and faux-suede appliques on the dash. These subtle additions create a classier overall environment. 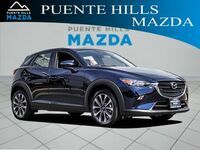 Interested drivers should come check out the new Mazda CX-3 and see for themselves and see how it compares to last year's model. You can test drive either or both vehicles! We will go over all other pricing details on each model and answer any of your remaining questions. We hope to see you soon!